﻿All the Time Travel Romances are historic as well. 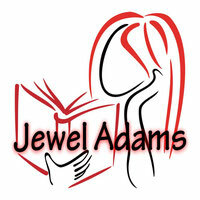 If you love historic romance try a Time Travel Romance! 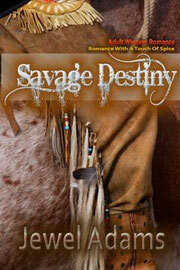 SAVAGE DESTINY is Jewel’s All Time Bestseller! On a wagon train that journeys from Baltimore to the Northwest Territory, Cali discovers the land that touches her heart with its beauty. She pesters the old scout to teach her all he knows; embracing the new land she needs the old man’s knowledge to survive. But all her lessons can’t prepare her for the very real Indian that hunts her down. And like the hawk that holds his prey in his talons Cali looks deep into the coal black depths of the man that is her savage destiny! Blackhawk’s senses pulse in possessive yearning for the woman he took captive. Nothing will make him set her free, not even her own wild spirit. But can he save her from the dangers that come from his own tribe and want her death? And when she believes he betrayed her and ordered her to be killed will she see past her hate and fear to find the love they once shared? Two beautiful people find a love worth fighting for in the wilderness of 1795 in the Northwest Territory of the American frontier. Let your emotions run through the smoke fires that dry buffalo meat, feel the biting sting of a knife’s killing blade and touch the love that finds ecstasy in SAVAGE DESTINY!